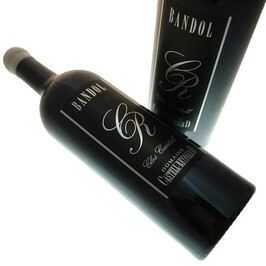 With this red wine, Lafran Veyrolles offers us one of the best wine of Bandol. You can smell and taste the notes of blackberries or blackcurrant. Lafran Veyrolles bandol red wine... Its purplish colour which announces black surmuris fruits, its nose of blackberries, blackcurrant and its finale in licorice, crystallized mouth, makes its clear a beautiful persistent sensation of plenitude. The Domain Lafran Veyrolles, situated to the Cadière d'Azur, is classified in the area AOC Bandol. 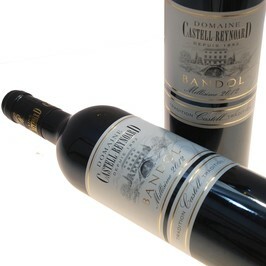 Wine Lafran Veyrolles is one of first ones of naming Bandol. It is today, the Ferec-Jouve family which exploits the vineyard of 10 ha. Wines of the domain are wines stemming from the reasoned culture. The Domain Lafran Veyrolles produces 10 % of whites, 40 % of rosés and 50 % of red today which are the Lords of the vineyard, with two different vintages: the vintage Tradition and the Special vintage.